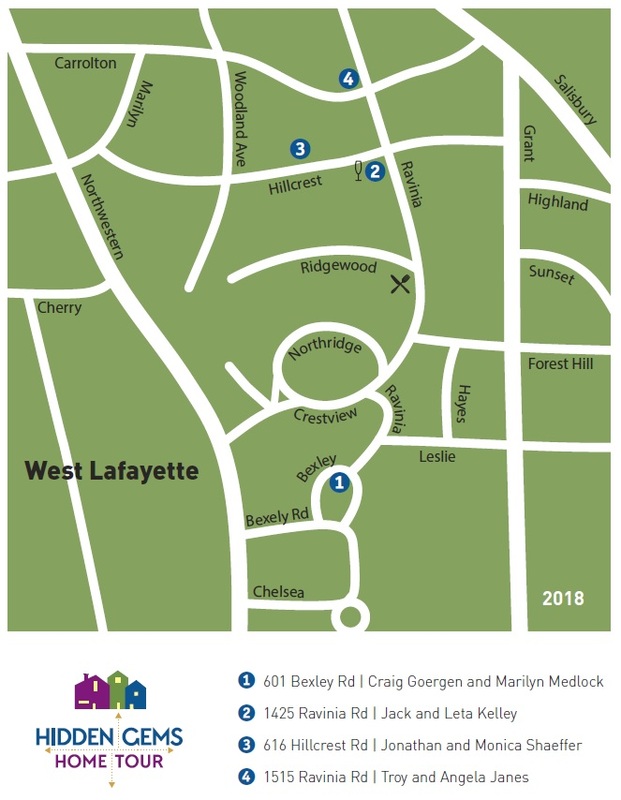 The Hidden Gems Home Tour is a free public event that occurs every October for the community to explore West Lafayette neighborhoods, meet friends and neighbors, and find those special, hidden gems. The tours are self-guided and attendees can begin at any home and explore at their own pace. For more information on the homes and vendors, visit our Facebook page. See you this October! Check out 2018 Hidden Gems Home Tour map here! Check out 2018 Hidden Gems Home Tour brochure here! Check out 2017 Hidden Gems Home Tour brochure here!